Resveratrol is a naturally occurring phytoalexin produced by some higher plants in response to injury or fungal infection. Phytoalexins are chemical substances produced by plants as a defense against infection by pathogenic microorganisms, such as fungi. Alexin is from the Greek, meaning to ward off or to protect. Resveratrol may also have alexin-like activity for humans. Epidemiological, in vitro and animal studies suggest that a high resveretrol intake is associated with a reduced incidence of cardiovascular disease, and a reduced risk for cancer. 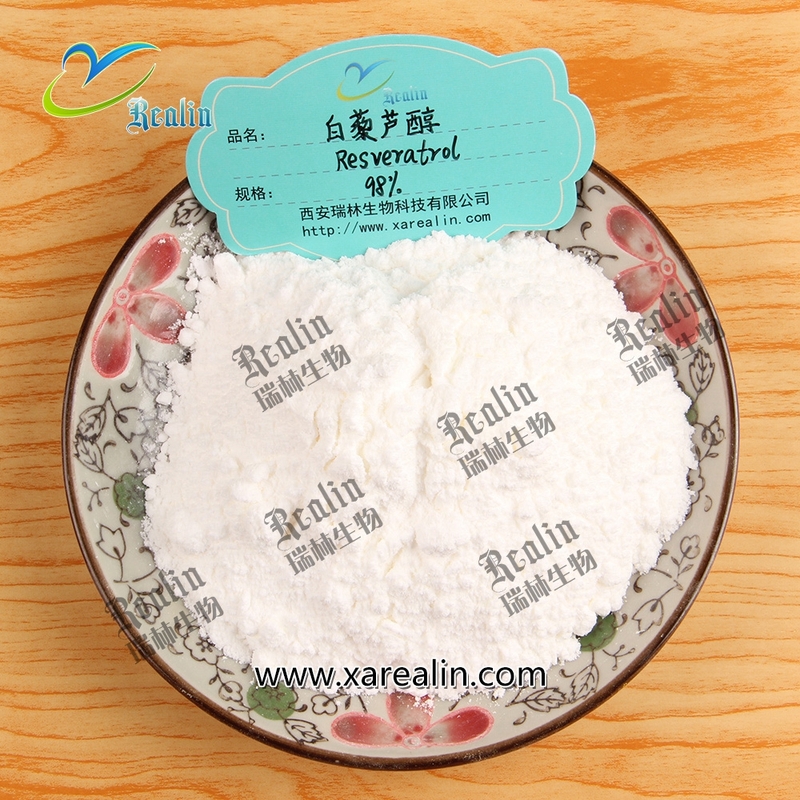 Applied in food field, it's used as food additive with the function of lengthening life. Applied in pharmaceutical field,it's frequently used as medicine supplement or OTCS ingredients and owns good efficacy for treatment of cancer and cardio-cerebrovascular disease. Applied in comestics,it's can delay aging and prevent UV radiation.